Bob Richards Toyota is a full-service new and used car dealership that is proud to serve drivers from Aiken, SC and surrounding cities. Our family owned and operated dealership is committed to customer satisfaction and offers competitively priced new and used automobiles for sale as well as financing assistance and professional automotive services. Our commitment extends to the local communities that we serve as we proudly sponsor and support events and organizations including United Way, Salvation Army's Center of Hope, the Augusta GreenJackets, Forces United and more. Learn more about our Toyota dealership here on our website, then visit us from nearby Augusta or Evans, GA to speak with our friendly and helpful staff! Why Buy at Bob Richards Toyota? Bob Richards Toyota is where you'll not only find the latest Toyota vehicles for sale at competitive prices, but also an array of motorist benefits, including our exclusive Quarter-Million Mile Warranty on new Toyota vehicles and qualifying used cars! Remember that when you return for routine maintenance on your new Toyota or pre-owned vehicle, our service center is home to ASE and Toyota Certified technicians who deliver the top-tier repair results you and your vehicle deserve. 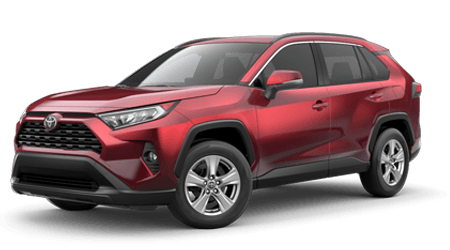 Whether you are visiting to secure a new Toyota RAV4 or bringing your car in for express maintenance, you can enjoy our customer lounge during your stay, where you will find comfortable seating, free Wi-Fi access and complimentary coffee. 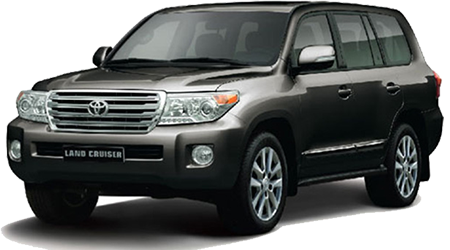 When you are looking for quality automobiles for sale in North Augusta, SC, turn to Bob Richards Toyota, where we stock the latest Toyota models as well as an array of used cars, pickups and SUVs for sale! Talk to our sales staff about the new Toyota Camry or Tacoma you are after; or, let us tailor a shopping plan for an affordable used car that meets your preferences and budget. With our team of financing specialists that are committed to serving drivers of all credit situations, why turn anywhere else for auto loans near Aiken, SC? No matter if you are looking to capitalize on your pristine credit score and get into a new Toyota or are shopping for a used vehicle with less than stellar credit, know that we have a solution for you, so apply for auto loans now! Thanks to our dedicated Toyota service center and parts department, Augusta, GA area drivers can count on our dealership for continued automotive service. We offer comprehensive auto maintenance for Toyota vehicles as well as other makes, so visit us for a quick oil change, tire rotation or brake service. We're also home to trained and certified service technicians and genuine Toyota parts, so no matter what your automotive needs may be, visit Bob Richards Toyota in North Augusta, SC.